08:00 - 08:45 hrs. Arrive at Park Hopper and Pier, welcome with coffee and tea. 08:45 - 09:00 hrs. Present by experienced guide about for tour information. 09:00 - 09.30 hrs. 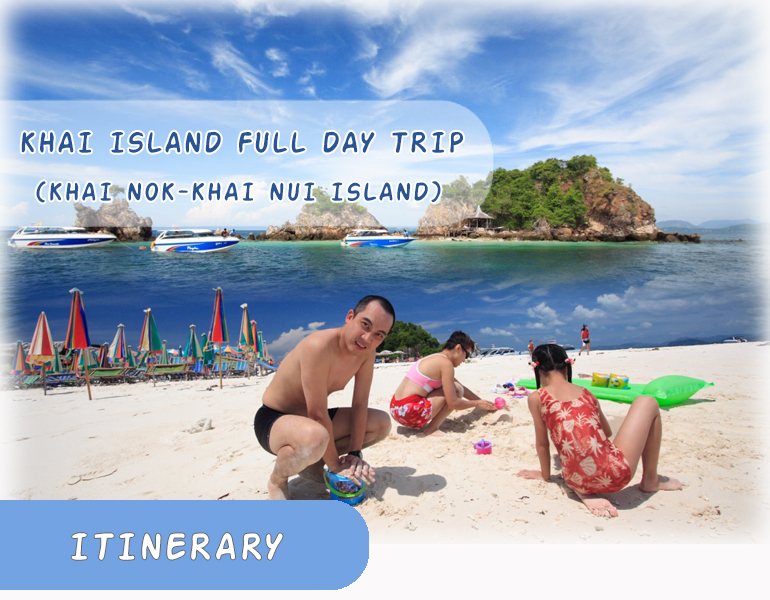 15-20 minutes arrive at Khai Nok Island. 10:00 - 11:00 hrs. 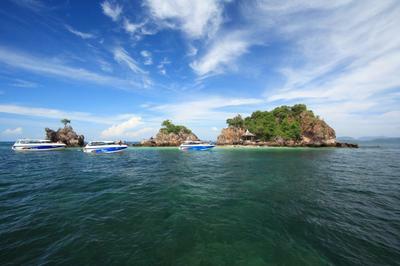 Enjoy snorkelling or swimming from the beach shore at Khai Nok Island. 11.00 - 12.00 hrs. Appointed time to the deeper snorkeling from the boat at Khai Nui Island. 13:00 - 16:00 hrs. Free style on the island. 16:00 - 16:30 hrs. Time departure to Phuket. 16:30 - 17:00 hrs. Arrive at Hotel by pleasant trip.